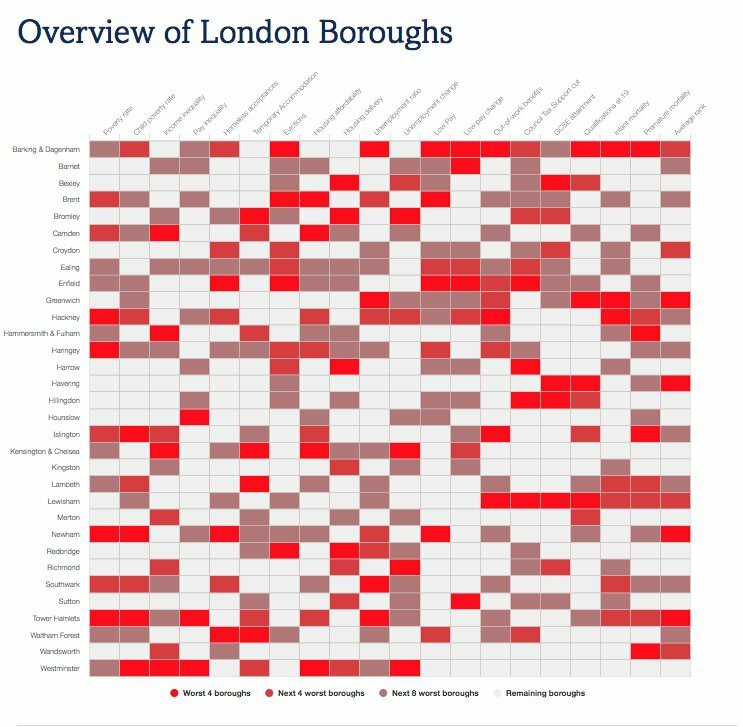 in London outperform pupils in the rest of England across ethnic groups, as do pupils who do not speak English as their first language and pupils with Special Educational Needs (SEN). of disadvantaged students from Inner London go on to attend higher education institutions - the highest rate in England. But they are less likely than non-disadvantaged students to attend elite universities. Educational attainment is a key determinant of lifetime earnings, poverty risk and social mobility. Other indicators on this site note how low pay and employment status are associated with lower levels of educational qualification. The large improvements in education in London over the past decade are rightly celebrated in improving the life chances of its young people, especially as increasing attainment by disadvantaged pupils has been a key driver. However, the gap in educational achievement between disadvantaged and non-disadvantaged pupils is present from the beginning of schools and widens as pupils get older. These indicators therefore focus on attainment at age 16 and older. The GCSE attainment gap is significantly smaller in London than the rest of England (28% in the rest of England, 15% in London). 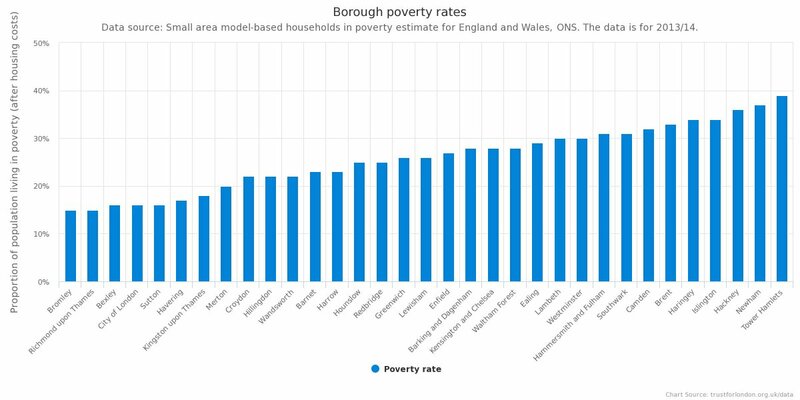 The boroughs with the seven largest gaps are all in Outer London. Progress on GCSE attainment has stalled since 2010/2011. 40% of students in Inner London and 39% in Outer London do not have 5 or more A*-C grades, including English and Maths, when they finish their GCSEs – a similar figure to five years ago. The proportion of 19 year olds without level 3 qualifications has continued to fall in London though, unlike in the rest of England where progress has stalled. The percentage of disadvantaged pupils in Inner London who go onto Higher Education is actually higher than for non-disadvantaged pupils (59% vs 55%). The trend is reversed in Outer London, where non-disadvantaged pupils are narrowly more likely to pursue higher education (58% vs 56%). These figures will be important to monitor to assess whether they are affected by the abolition of maintenance grants in 2016.